The Robinhood stock trading app has been out since 2015 and the big thing it has going for it is that there are no commissions or fees. Over two million investors are now using Robinhood and it has become the fastest growing brokerage. All stock and ETF (exchange-traded fund) trades are completely free. There are no account minimums, no annual fees, no inactivity fees, or account transfer fees. There really are no hidden costs. If you want to open a stock margin account, there is a $2,000 minimum. A margin account is offered by brokerages that allow investors to borrow money (and charge interest) to buy stocks – I highly recommend against doing this since you can lose more money than you invest. Robinhood makes money on interest gained from uninvested cash. Robinhood also makes money with their new premium feature called Robinhood Gold. Robinhood Gold offers the ability to trade stocks on margin, after hours trading, and instant deposits (the free version requires a 3 day hold). Using the app is easy and intuitive. Currently, trades can only be executed through the Robinhood iPhone, Apple Watch or Android app. You cannot access Robinhood on your desktop or through the web yet, although Robinhood has recently announced that Robinhood for Web is coming soon. Robinhood is for taxable accounts and not your retirement accounts. I don’t recommend investors put all their retirement money into individual stocks – it’s simply too risky to make consistent long-term gains picking individual stocks. If you want to buy diversified investments through Robinhood, you can buy ETFs, which act like mutual funds and can track different stock market indexes. I would recommend buying VTI (Vanguard total US stock market) or VXUS (Vanguard international stock market) ETFs. Or if you really want to play the stock market with some “fun” money, you can buy shares of company stocks that you’d like to add to your portfolio. Robinhood is a bare bones stock-trading app. It lacks trading research and tools. There are no research reports or stock analysis information. This app is strictly for investors that know what they want, are willing to do their research elsewhere, and want to buy stocks and ETFs without any fees and commissions. The user interface is very smooth and intuitive. The best thing about Robinhood is that they are now offering a free share of stock such as Apple, Ford, or Sprint for free once you sign up through my link here. The value of the share may be anywhere between $2.50 and $200 and fluctuates due to market movements. The odds if getting a high quality stock are pretty good too. You have a 1 in 150 chance of getting Facebook, Apple or Microsoft and a 1 in 70 chance of getting Ford, Sprint, or AMD. There is an approximately 98% chance of the stock bonus having a value of $2.50 to $10, a 1% chance of the stock bonus having a value of $10 to $50, and a 1% chance of the stock bonus having a value of $50 to $200. Stock bonus will be credited to the enrolled account within approximately one week after the bonus is claimed. Even if you don’t intend on using the app to trade frequently, getting a free stock is nice. The cash value of the stock bonus may not be withdrawn for 30 days after the bonus is claimed. Note that the value of offer received may be reported as Other Income on Form 1099-MISC where required by applicable rules and regulations. 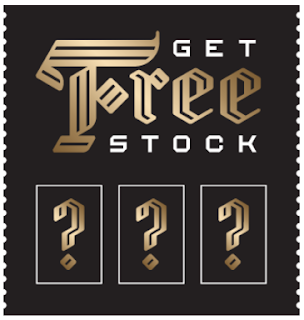 Check out Robinhood here and we’ll both get free stock!